Caricatures make a great addition to baby showers. Guests are entertained and they get a one-of-kind party favor to remember the event! 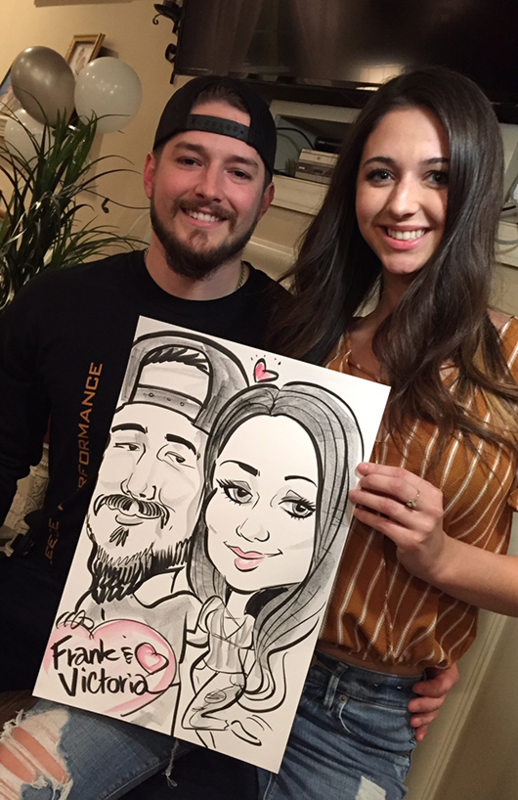 Laura drew live caricatures at an engagement party for a family in Maryland. Here’s a fun one from this event! Most of the men at the event were firefighters!